Spacious housing, great view and privacy. 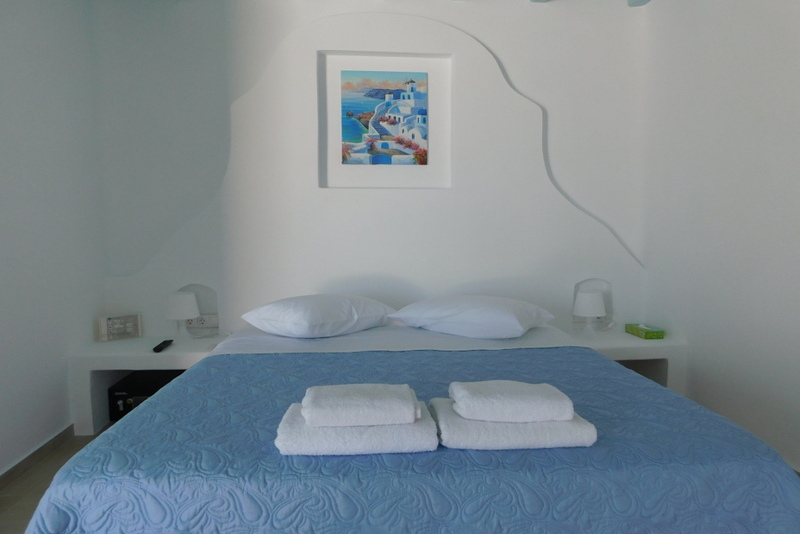 Book your villas, apartments, studios in Mykonos! 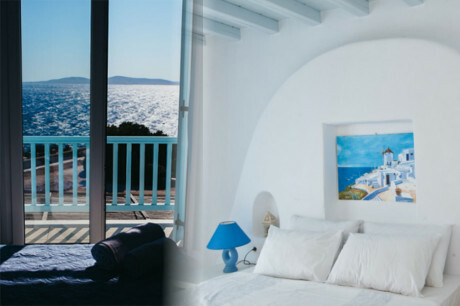 Sofia's Bungalows Mykonos is a set of spacious high end villas and studios in Mykonos island with unrestricted view to the Aegean and the island of Tinos. Prime locations with amazing sea view, luxury 3 bedroom villas, 4 bedroom villas and 1 bedroom studios with amazing sunset view over Syros island in the horizon make up a list of 7 properties available for rent for summer of 2016 available up to October. 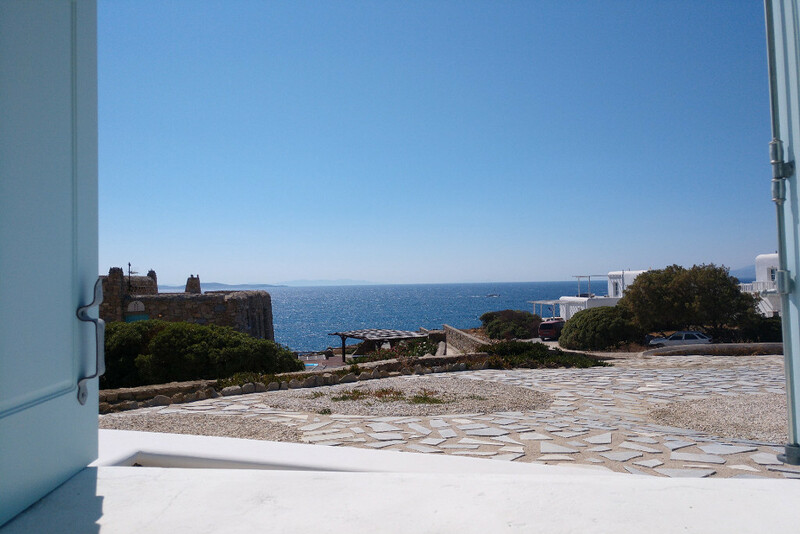 Less than 10 mins drive from the Mykonos Airport and just 5 mins from the world famous Mykonos center or Chora, Sofia's Bungalows are here to provide a spacious and private living on Mykonos island. Enjoy private living on the island of winds! 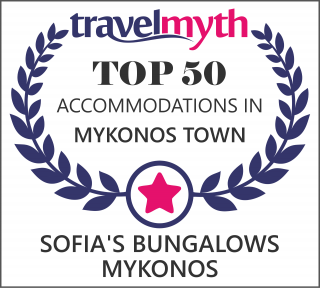 Large bedrooms, most with en-suite bathrooms, brand new pool, private parking, FREE WiFi, complimentary bottled mineral water and other surprise features make Sofia’s Bungalows stand out in Mykonos. 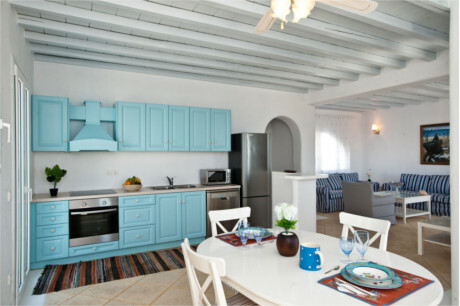 Our friendly English speaking staff and guest services will make your stay at Sofia's Bungalows Mykonos memorable! Pool period at Sofia's Bungalows opens May 1st and extends to October 15th. ©2016 Sofia's Bungalows - Mykonos, Greece.